Zara’s new controversial logo turns the tide against the blanding of America. The new Zara logo has caused quite a stir among creatives on twitter this week. An article by Elizabeth Segran on Co.Design outlined some of the issues people have with the new logo, namely the kerning (or lack thereof) that creates a somewhat claustrophobic design. Specifically, Erik Spiekermann jumped on twitter to call it “the worst piece of type I’ve seen in years”. 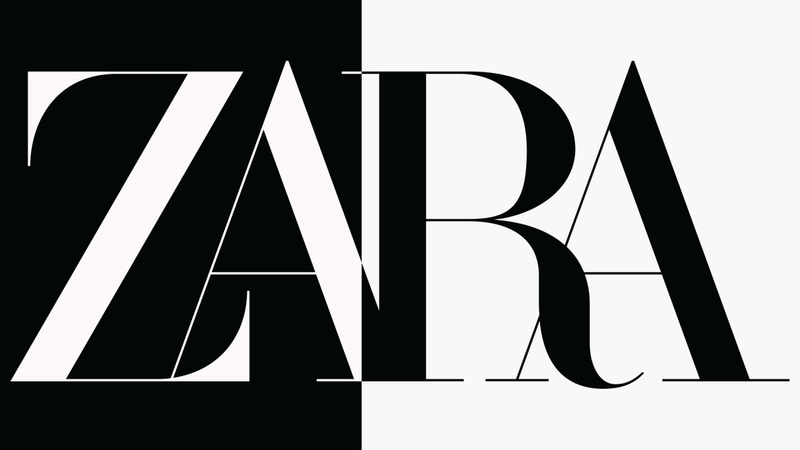 Another reason we might all look past the kerning issues and embrace this new logo is Zara’s movement away from the trend of bland logos. In 2018 many in the design industry began to point out the trend of American brands simplifying their logos, often to the point of eerie (and boring) similarity. Both a piece by Katharine Schwab on Co.Design and one by Renée Loth for the Boston Globe disparage the trend toward the “blanding” of American brands as everyone begins to look the same. Zara has undeniably shaken things up, and while controversial, this move towards a more complex logo with overlapping text, curved letters, and a serif font may turn off some, isn’t it a breath of fresh air to see a company embrace their own personality in their logo, rather than fade into a sea of sameness?